Mjejane is a small private reserve on the southern boundary of the Kruger where it enjoys 11 kilometres of prime Crocodile River frontage. Whilst pretty small at 4 000 hectares, the fact that there are no fences between Mjejane and the Kruger means that game (including the Big Five) are free to wander between them, with a private bridge over the river also allowing game drives in Kruger itself. 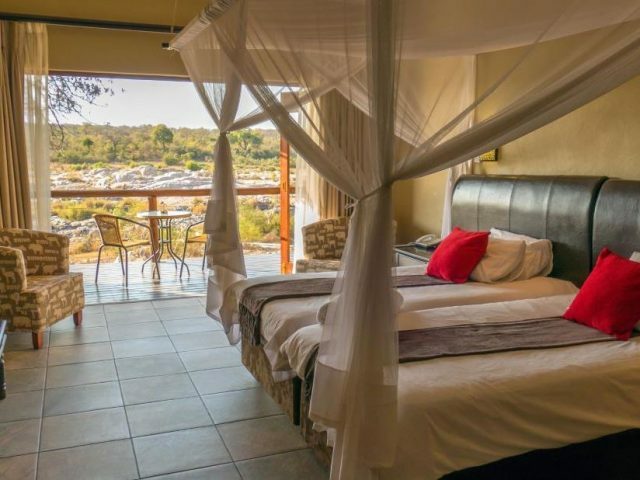 Very reasonably priced with great views over the Crocodile River into the Kruger where you can enjoy game drives via a private bridge across the river.